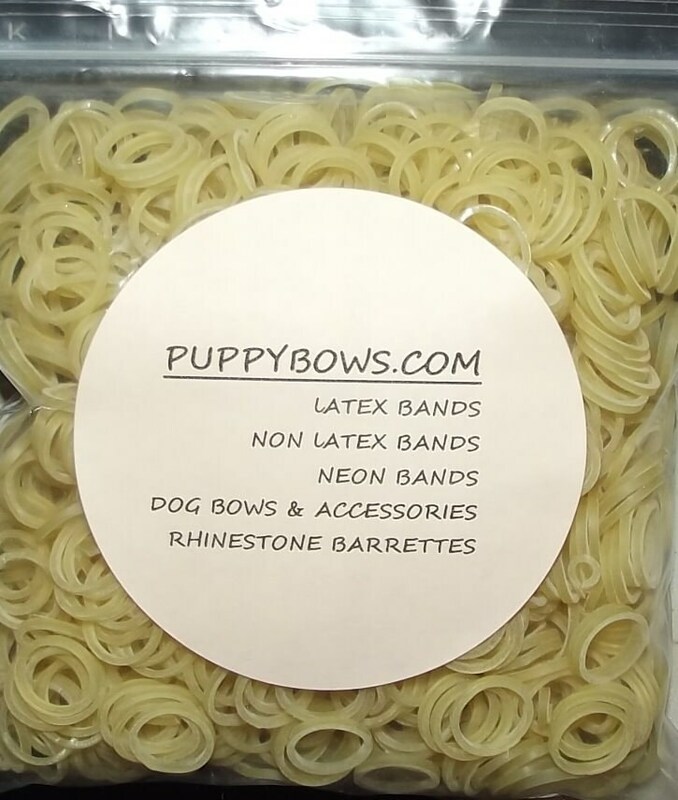 LATEX dog grooming bands for making topknots or hairbows. 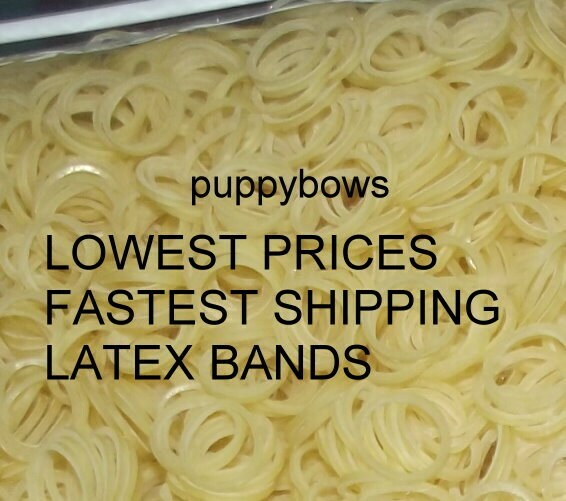 This listing is for the amber latex in sizes 1/8"-3/8" IN A BAG OF 5000 BANDS. I also have listings for the NON latex and the NEON. 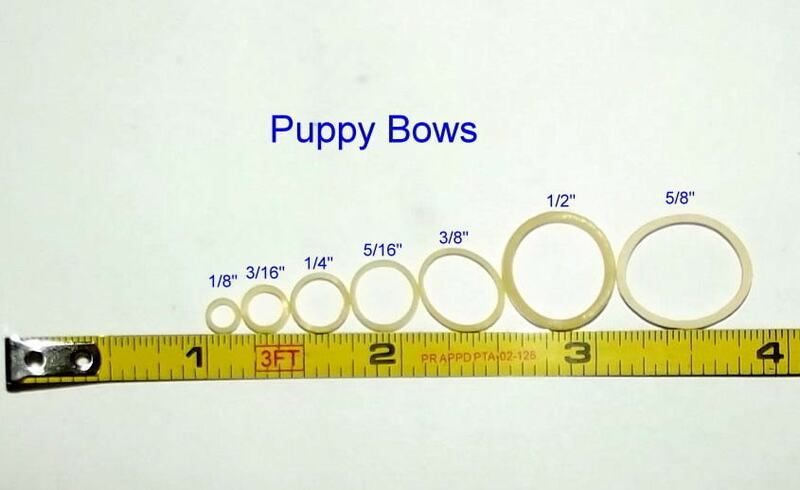 I also have larger quantities available up to bags in 100,000 bulk. Smooth transaction, quality product, fast shipping =) Thanks! !